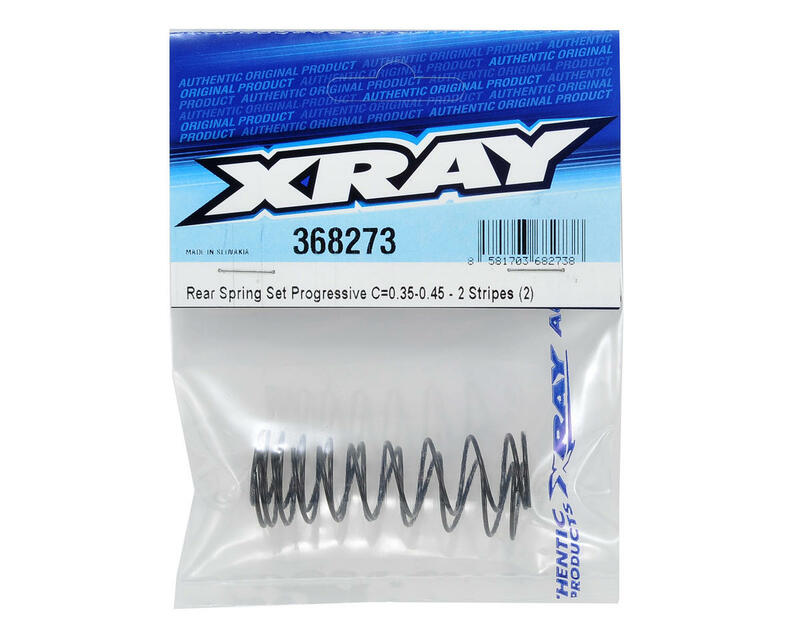 This is an optional XRAY Rear Progressive Spring Set, and is intended for use with the XRAY XB4 1/10 scale 4WD buggy. The XB4 includes Linear springs standard with the kit. These Progressive springs offer another option to fine-tune the buggy. 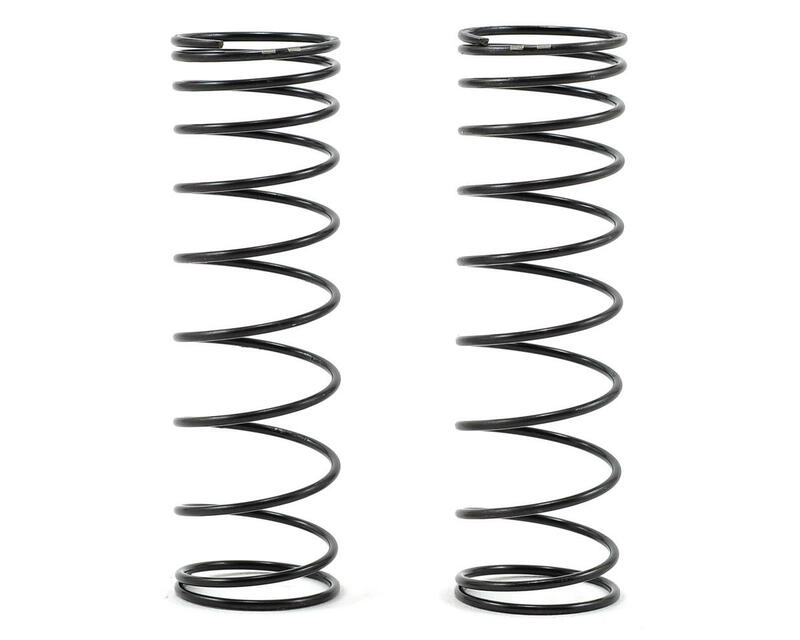 These XRAY Premium shock springs are designed specifically for big bore shocks. They have been manually measured, selected and matched into pairs to guarantee equal length and damping characteristics. The springs then receive a laser engraving for easy identification.